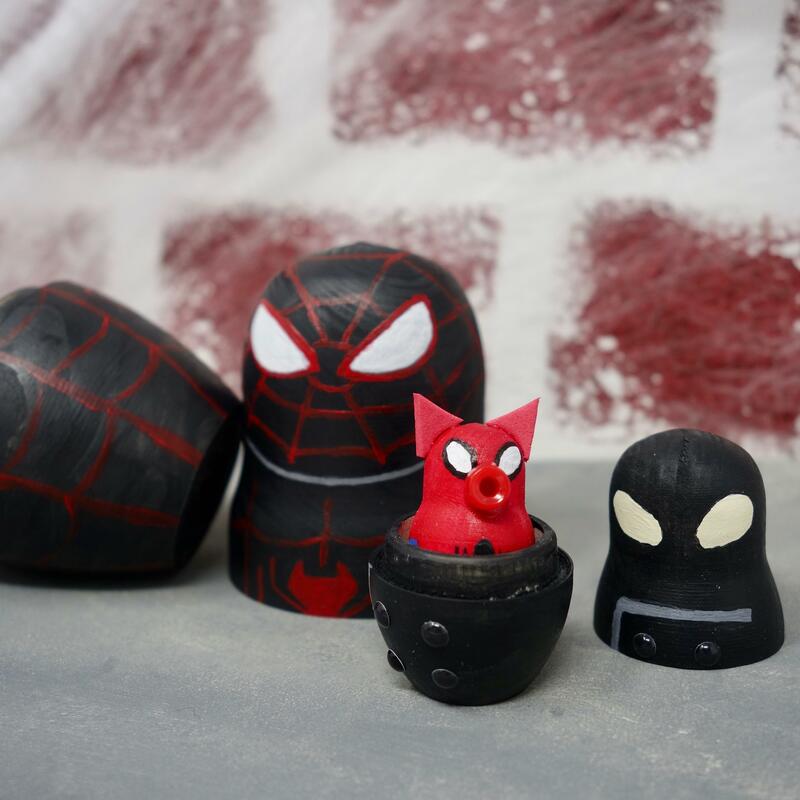 Spider-Geddon is bringing back all of your favorite Spidey characters, and you can keep them all in one place with this wooden nesting doll DIY. Well, not all of them—there are a quite a few characters bearing Spider in their name—but you can choose your favorites to paint. 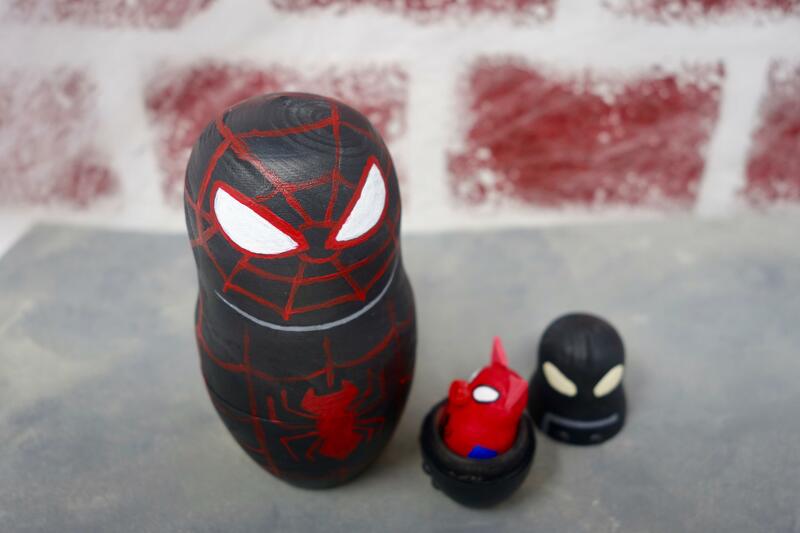 With SPIDER-GEDDON #4 now available, SPIDER-GEDDON #5 out in a few weeks, and even "Spider-Man: Into the Spider-Verse" in theaters December 14, keep these nesting dolls for yourself or give them as a spectacular gift to the amazing Spider-Fan in your life. There are a number of different Spider-heroes you can call upon. Depending on how much time you have, you can make it as simple or as extensive as you'd like. The heroes we'll be focusing on today include Spider-Man (Peter Parker), Spider-Man (Miles Morales), Spider-Woman (Jessica Drew), Spider-Man Noir, and Spider-Ham, and the supplies needed above are tailored to their designs. Get more inspiration for Spider-designs over at 0ur Spider-Geddon hub. Step One: Separate all unpainted wooden dolls and put each one back together. You should have five dolls total. Step Two: Begin by drawing the eyes on each doll. 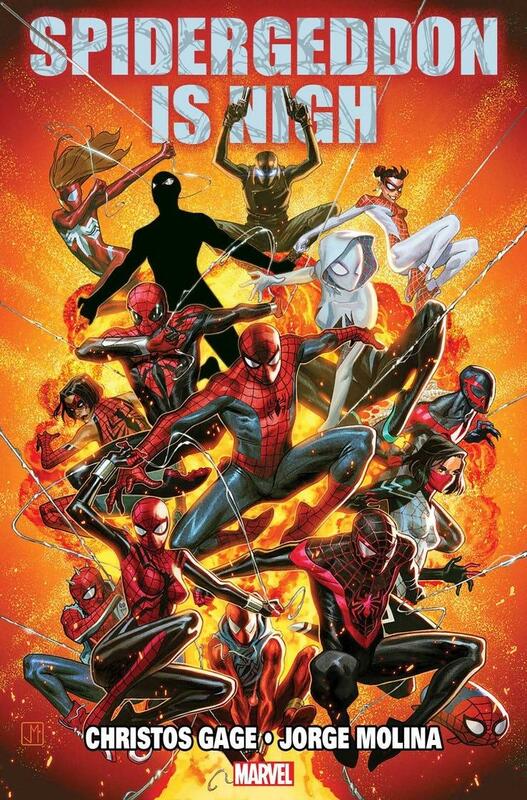 Paint them white, except for Spider-Woman (Jessica Drew), whose mask is yellow. Paint additional coats as needed and let dry. Tip: Don’t press too hard while drawing as you may leave grooves in the wood. Step Three: Paint the black or red border around the eyes and let dry. 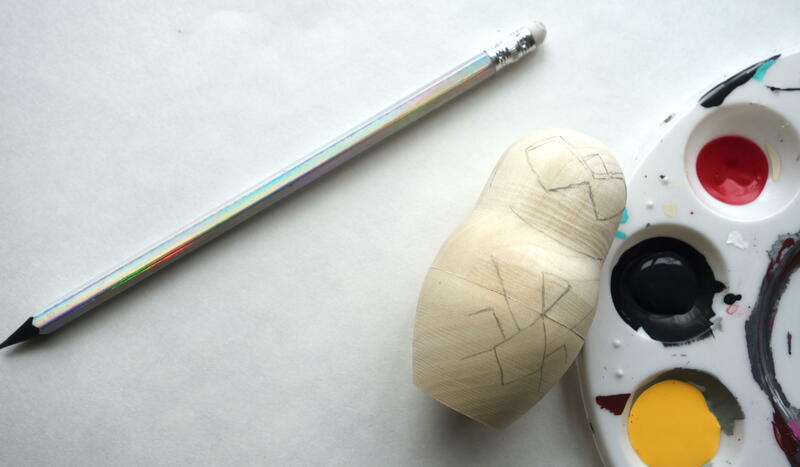 Step Four: Next, paint the main color of the doll. 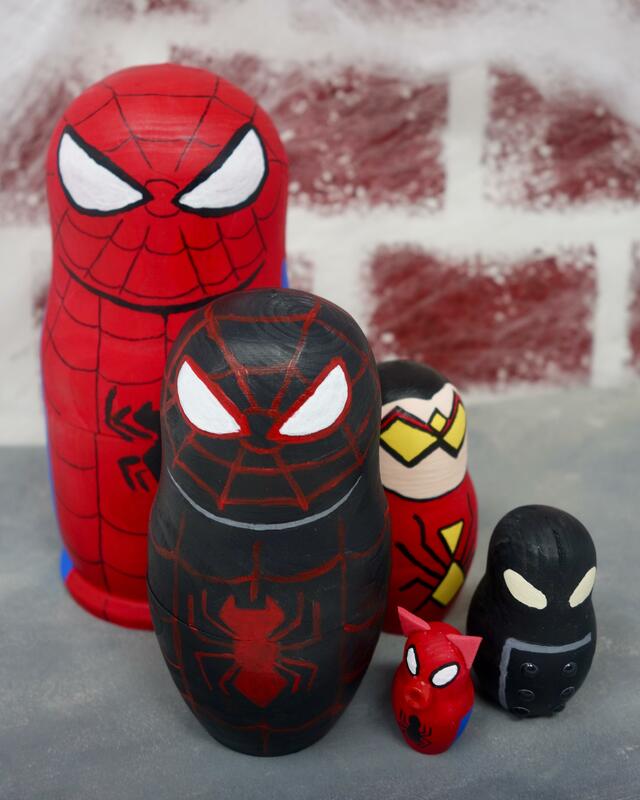 Red for Spider-Man (Peter Parker), Spider-Ham, and Spider-Woman (Jessica Drew). Black for Spider-Man (Miles Morales) and Spider-Man Noir. Let dry completely. Tip: Jessica Drew is the only doll that you won’t paint completely one color for the base; be sure to leave the space for her face blank. Step Five: Add the secondary color. For Jessica, paint long black hair and tan for her face. Let all paint dry. Step Six: Lightly draw the details of the center spider symbol for all heroes except Spider-Man Noir. For Noir, mix white and black paint to make grey, and then use it to paint the flap of his jacket. Let dry. Step Seven: Paint the spider symbol and let dry. Make sure you don’t paint over the seam of the dolls—you might accidentally seal it closed with paint! 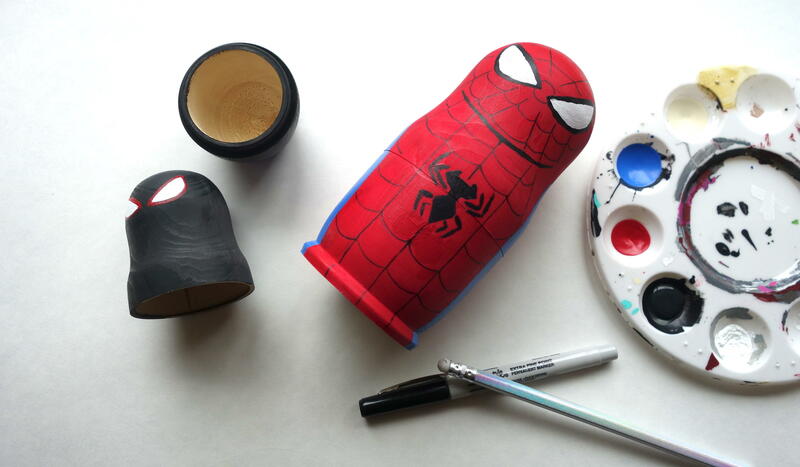 Tip: If you are having trouble using a paintbrush for the small spider body, use the plastic or wooden end of the brush dipped in paint and lightly dab it on the doll. Step Eight: Lightly draw the details of the hero’s costume on the doll. Paint them and add as many coats as needed; let dry completely. Use the black permanent marker to draw over the penciled web lines on each costume. Step Nine: Erase any unpainted pencil lines. 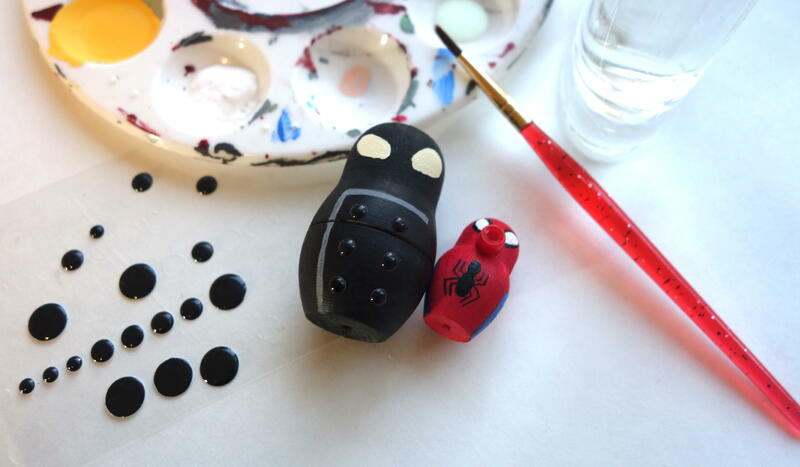 Step Ten: For Spider-Man Noir, stick six small enamel black dots on the front of the doll as his coat buttons. 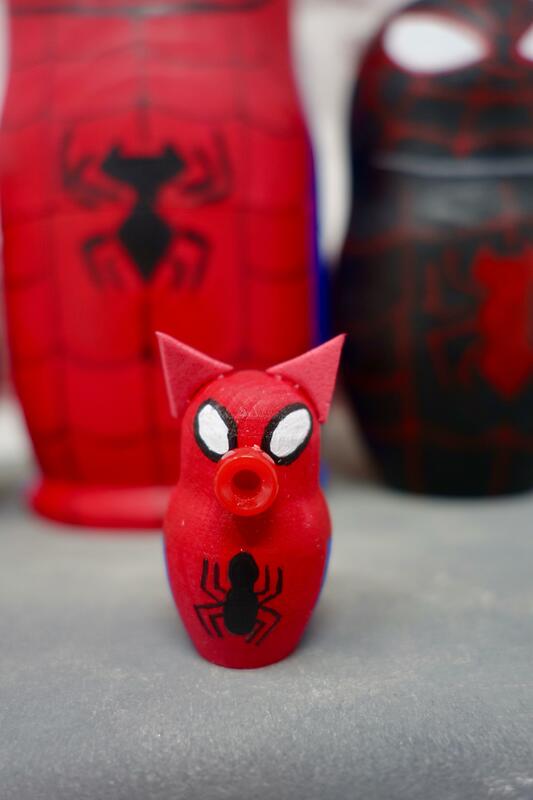 Step Eleven: For Spider-Ham, glue the small red pony bead under his eyes to make his nose, and let the glue dry completely. 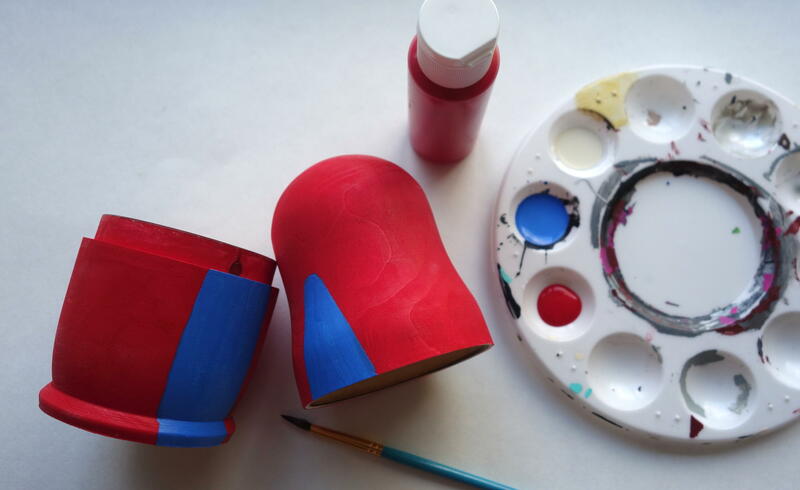 Cut two tiny triangles with a rounded bottom edge from the red craft foam. Glue the ears to the top of his head, and let dry. Step Twelve: If the dolls will be handled often, you may want to spray them with a clear acrylic varnish to keep the paint protected. 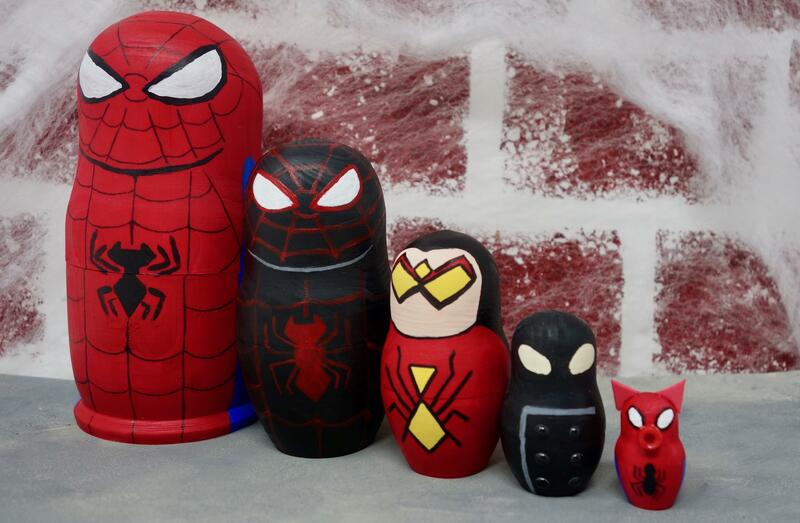 Let dry completely, and your Spider-Man nesting dolls are complete! Visit your local comic shop today or download directly to your tablet device to start reading SPIDER-GEDDON! Get caught up on SPIDER-GEDDON #1-4 now, and be on the lookout for SPIDER-GEDDON #5 available in a few weeks on December 19.